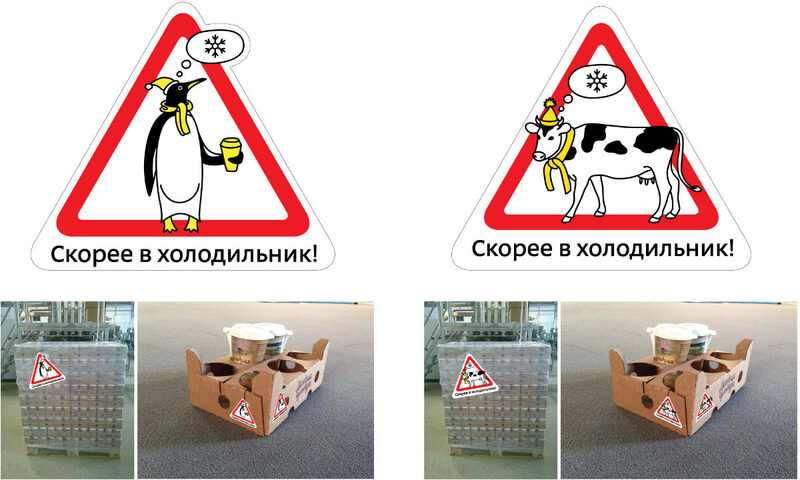 The designer receives the task to make a sticker for pallets and boxes of dairy products that would remind store employees that the contents should be immediately refrigerated. The message should be brief and clear and the image should strike the eye. Considering options for the text. How about a warning sign? A red triangle will surely draw attention. Or should it be something cute, appealing to the better nature of the employees? They have enough orders and instructions as it is. The art director asks to search for better proportions of the elements and also to try remaking the drawing in a different style. Artistic director: Have it fold its hands as if it’s pleading. Showing to the client. The first design wins. Trying to find a different shape of the frame to replace the triangle. Making corrections in the text portion. 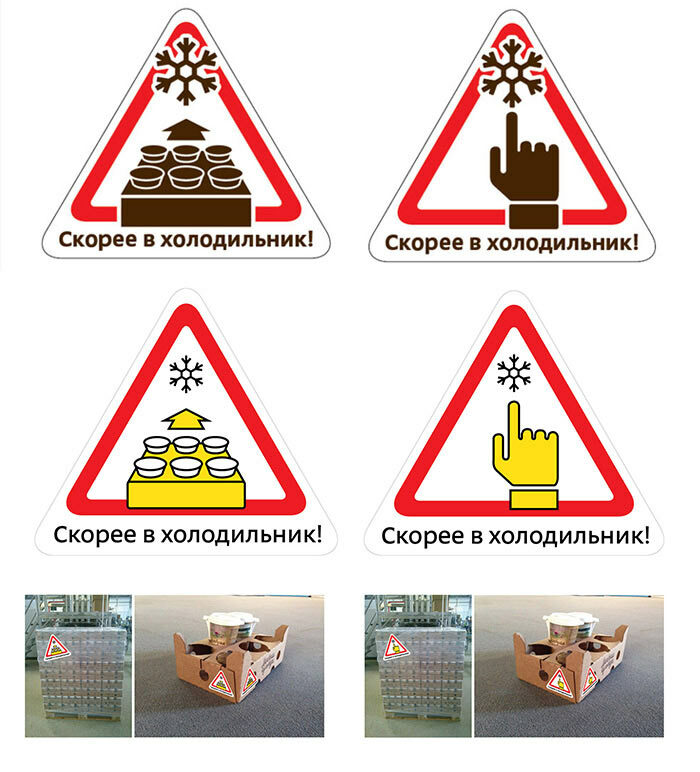 Choosing one design, typesetting the guide on sticker placement, preparing everything for printing.